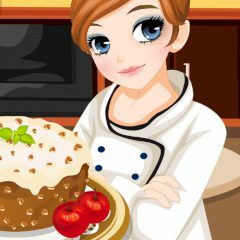 This time a famous chief cook Tessa will teach you how to make a yummy apple cake. Follow easy instructions and then you'll a get a wonderful tasty apple cake. So you can easily impress your guests with your great cooking skills.